Every once in awhile, an athlete comes to me with an audacious goal—something way bigger, harder, and longer than they’ve ever done before. The logical side of me immediately goes to work determining what’s needed to achieve this goal and whether it’s even possible, while my emotional side begins to question my client’s sanity. Meet Hayley Teale. She’s one of those athletes with an audacious goal, the kind of goal that makes a coach’s life more interesting and challenging. 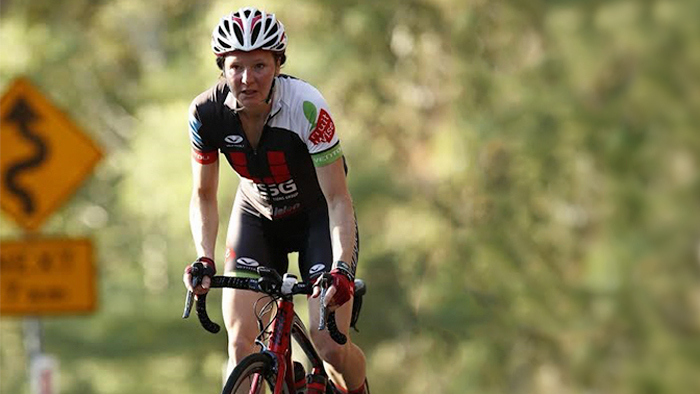 Hayley’s goal is Everesting: 8,848m (roughly 29,028 feet) of climbing in one ride on one hill. There’s also a bunch of logistical stuff you need to make an Everest attempt successful, mainly the support crew, sherpas, luck with the weather—and a plan. You’re going nowhere fast without all those in place. Logistics aside, it was time to use the tools at our disposal to see what Hayley was capable of. How could we know if an athlete can actually manage all that time on the bike and survive the physical and emotional ordeal of the event? We turned to WKO4 to see how Hayley might fare. Because of the data history Hayley has provided, we could easily find the longest ride Hayley had done so far; it turns out it was the Three Peaks Challenge at around 9 hours. Next, we wanted to check out a few physiological markers. Hayley was looking good; her phenotype is a TTer (sorry, sprinters, but Everesting definitely isn’t for you). Beyond phenotype identification, Coggan’s phenotype map also gives some idea of how close to a phenotype an athlete is. Hayley (the white circle in the chart below) is very close to a true TTer (the blue triangle)—again, ideal material for an Everest attempt. The final chart we looked at to determine whether Hayley had the right muscle makeup to complete this ultra-endurance event was the Physiological Markers Report. Her 82-percent slow-twitch muscle fiber was an ideal sort of make-up. It was obvious that Hayley was going to need some sort of plan to complete the Everest attempt. Whilst I was quietly confident she was capable of it, I’d been a Sherpa on a few other Everesting attempts and had personally seen more people fail than succeed. I knew this would be no walk in the park. Hayley already had a good level of fitness for an athlete with a full-time job, two kids and a husband to look after, so I wasn’t too concerned about building it further. Using WKO4’s PMC, we could see her CTL was around 90 at the end of May 2016. My biggest concern was the amount of fatigue Hayley would accumulate in preparing for the attempt and how to make sure she had enough physical adaptation to cope with it. My other concern was the time of year she had chosen: the middle of winter in Adelaide, Australia. You can ride year round in Adelaide, but the weather in July can be cold, wet and windy—and there’s also a shortage of sunlight. After each of these stages, we used WKO4 to see its effect on Hayley’s body. We used a PMC-like chart to track her CTL, ATL, TSB and TSS. We learned from the ¼ attempt that the preparation and the event itself were going to produce a lot of fatigue; the ¼ distance produced nearly 300 TSS, so it would be better to go into the event with a high TSB (form) and a slightly lower CTL (fitness), rather than the other way round. This approach paid off with the ½ distance attempt; we went in with a TSB of +12, and fatigue was more easily managed the day after. Pacing was also important. This endurance event is done mostly in zones 1 and 2, so setting off too hard would be paid for dearly a few hours later. Hayley had practiced pacing in the ¼-and ½-distance attempts and had specific wattages to go by. We built a variation of the workout review chart found in TrainingPeaks and added a power trend line to it so we could see the trend over time. Over the course of the ¼ distance attempt, we saw only a dropoff of 4 watts in more than five hours of riding, so we knew Hayley had the pacing nailed already. After a couple of weeks of recovery and adaption, we went for the full distance. At 4:30 a.m. on July 9, Hayley set off on her Everest attempt. She was the first woman in South Australia to attempt it. The first few thousand meters were a breeze. We had a schedule, and Hayley more or less kept to it, taking breaks after every third or fourth ascent. Keeping her body fueled correctly was difficult when the energy demand was over three times her normal daily intake, and her body was more interested in propelling her up the hill than digesting food. After 19 hours of riding and 43 ascents of Wickham’s Hill, Hayley completed the 8,848m Everesting challenge. WKO4 was a valuable part of her accomplishment, both in the planning stages and in monitoring her progress along the way. Do you have your own “Everest Challenge” you’d like to complete? Get started reaching your goal today with this free 14-day trial of WKO4. Phil Crick is based in Adelaide, South Australia, where he offers personalised training plans to athletes in three different countries and of all ages and abilities. He is a Cycling Australia Level 1 certified coach, an AustCycle skills coach, and TrainingPeaks certified.